I lived in London for over ten years, and still go back a lot. But one thing I’ve noticed since I moved away is how expensive it can be. Attraction tickets, meals out, a few drinks – they all start to add up. London is an amazing city though with so much to see and do – from museums to markets, parks to pubs – so don’t let the cost put you off visiting. In my years in London I picked up lots of tips about what to see and do without breaking the bank, and more importantly what not to do. Here are some of my top tips for making the most of London on a budget. One of the easiest and best things you can do in London on a budget is wander around and see the sights (weather permitting). London is a huge city, but its centre is pretty walkable and you can see a lot within a fairly small area. One of my favourite walks is along the Thames, following Southbank from the Houses of Parliament, passing London icons like the London Eye, Tate Modern, Shakespeare’s Globe, HMS Belfast and ending up at Tower Bridge. There are also plenty of parks to explore. You can row in the Serpentine lake in Hyde Park, visit the rose garden in Regent’s Park, spot the royal palaces at St James’ Park, take a dip in the pools on Hampstead Heath or hang out with the deer in Richmond Park. There are plenty of smaller green spaces tucked around the city too that make a good lunchtime picnic stop. If you want to learn more about London’s history while you walk, several companies do free guided city walks. Sandeman’s New Europe runs a 3-hour tour at 10am. 11am, 1pm and 4pm each day from Covent Garden through Westminster to the Houses of Parliament. Tours are free but just tip your guide. Or Free Tours by Foot and Free London Walking Tours do a whole range of themed tours, covering everything from Jack The Ripper to ghosts and street art. 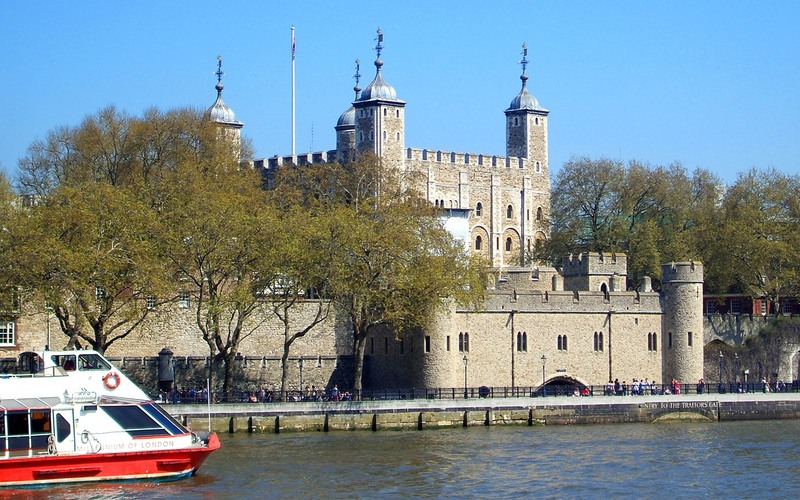 When you’re visiting big London attractions, you can often save by booking online, even the day before – London Eye tickets are £24.30 versus £27 on the day, or the Tower of London is £22.70 instead of £26.80. If you’re visiting a lot of places, it’s worth investing in a London Pass. They cover over 80 attractions with skip-the-queue access and a free bus tour. There are versions for 1–10 days, with or without travel, costing from £69–£230 (£49–£194 for children). 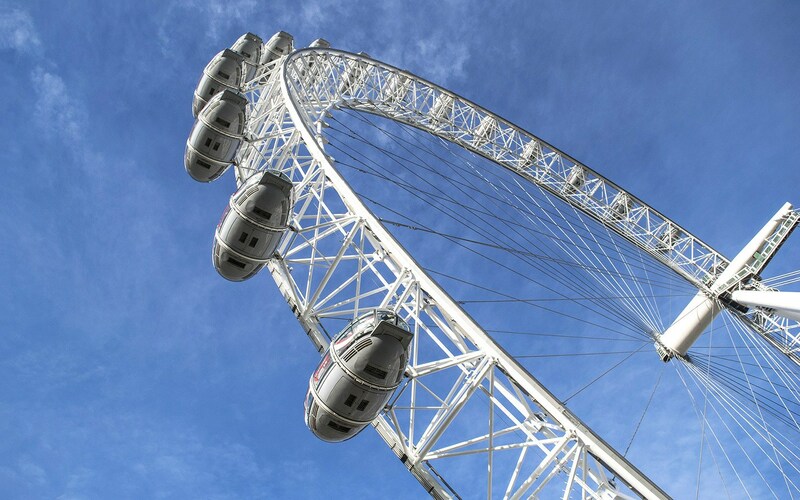 If you’re travelling to London by train, even if it’s just from the suburbs (it has to be on a mainline train though, not the Underground), you can get 2 for 1 entry to London attractions like the London Eye, Tower of London and London Dungeon, plus discounts on restaurants and tours. You need to print out a voucher from the website and bring it with your train ticket. 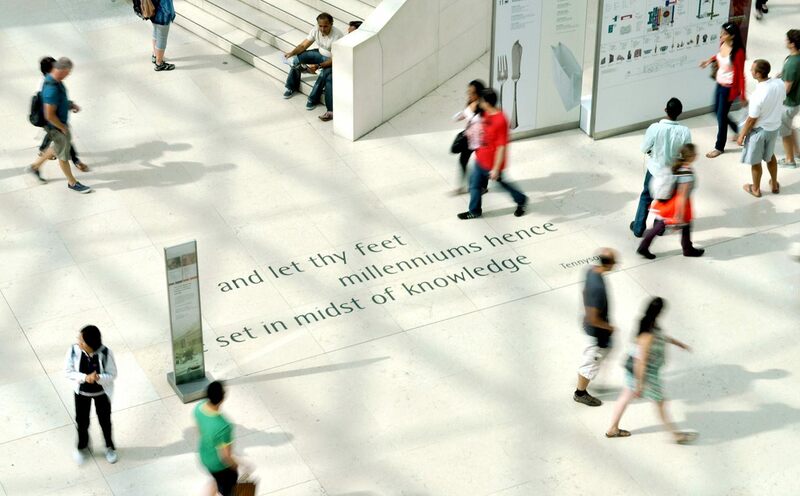 The city’s museums and galleries are one of the London’s best bargains. The permanent collections at many are free to enter – including famous names like the British Museum, Tate, National Gallery, Science Museum, Natural History Museum, V&A and Museum of London (see a full list). It’s also a good opportunity to try out some of the lesser-known museums, like the Grant Museum of Zoology or the Museum of Childhood for vintage toys and games. A lot of museums do late-night opening on certain days of the week too, with free special events, talks, films and performances after normal closing time. There’s also the First Thursdays event on the first Thursday of each month in the East End, when over 150 galleries and museums in east London stay open until 9pm with special events, walking tours and an Art Bus tour (£14.50/£12.50 concessions) visiting the top attractions and including a drink. London theatre is world-famous, but the tickets can be expensive. One way to see a West End show on a budget is by picking up tickets at the TKTS booth in Leicester Square. They sell half-price tickets for performances on that day and discounted advance tickets. You can also get £15 tickets for performances at the National Theatre or standing tickets at Shakespeare’s Globe in the ‘Yard’ in front of the stage for £5 (you might want to pick one of the shorter plays…). Whatever your taste in music, you’ll find a free concert somewhere in the city. You can see free classical music at lunchtimes in the churches at St Martin in the Fields and St James’s Piccadilly. There are a mix of free performances from jazz to dance at the Southbank Centre and you can always find street performers in Covent Garden. And try the pubs around Camden and Shoreditch for up-and-comings bands – many venues let you in free before a certain time. If you want to see a film in London on a budget, stay away from the expensive, crowded cinemas around Leicester Square. Just up the road, the Prince Charles Cinema shows films from £9 on weekdays. Or if you’re in town for a while you can become a member for £10. Membership gets you up to £4 off tickets, weekly £1 film screenings and discounts on drinks in their bar. The cheapest way to get a great view across London’s skyline is from one of the parks around the edge of the city. Some of the best viewpoints are from Primrose Hill, Alexandra Palace and the top of Hampstead Heath in the north and Richmond and Greenwich parks in the south. Closer to the centre of the city, London’s best bargain viewpoint is the Monument for £4.50 (£3 for students/seniors and £2.30 for children aged 5–15). The Monument marks where the Great Fire of London started and was built in the 1670s. It’s only 62 metres high so you do get towered over by some of the city’s other buildings, but you’re in a really central spot. You can visit the Sky Garden for free – London’s highest public garden in a glass dome at the top of 20 Fenchurch Street (aka the Walkie Talkie) in the City of London. You do need to book in advance though. Or go up to the roof terrace on top of the One New Change shopping centre which overlooks St Paul’s Cathedral. It’s open from 6am until midnight every day. 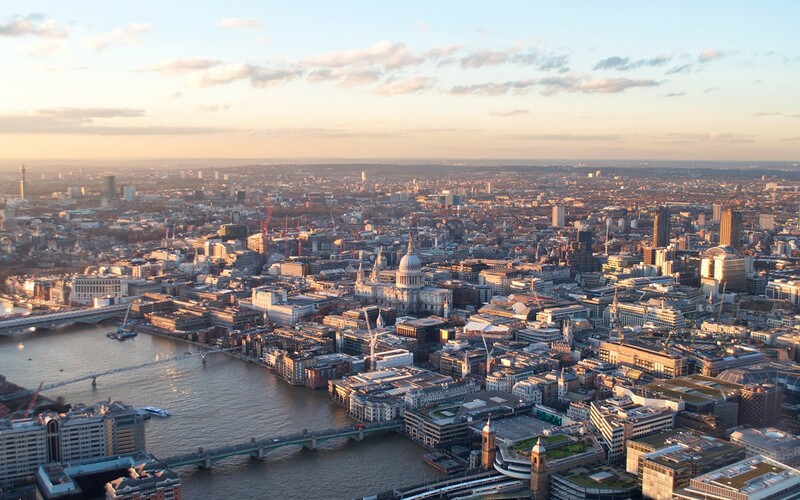 Get a great view for the price of a drink at a rooftop bar – try Gong on the 52nd floor or Aqua Shard on the 31st floor of the Shard, Vertigo 42 Champagne bar at the top of Tower 42 in the city, the Sky Pod in the Walkie Talkie or Skylon in the Royal Festival Hall on Southbank. You can find some of London’s best-value food in the city’s ethnic areas – try Chinatown, Kingsland Road for Vietnamese food and Brick Lane or Southall for Indian food. There are also some good-value international food chains to look out for, like Leon (Mediterranean), Busaba (Thai), Tas (Turkish), Pho (Vietnamese) and Wagamama (Japanese). And if you’re in the West End head for an early dinner to take advantage of discounted pre-theatre menus. 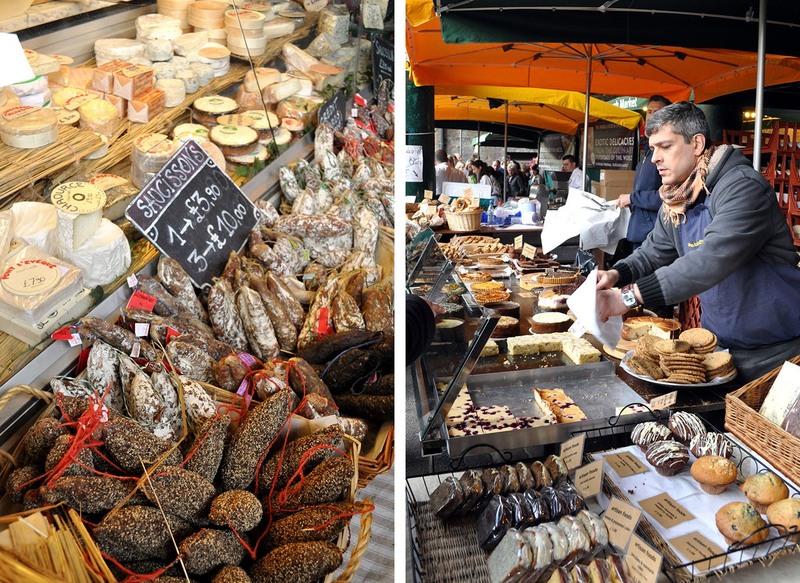 Street food is huge in London, with food stalls from around the world at markets, selling dishes for around £5. There are lots to choose from but some of my favourites are Borough Market (Monday–Saturday), Portobello Road Market (Monday–Saturday), the Real Food Market in Kings Cross (Wednesday–Friday) and the Southbank Centre Food Market (Friday–Sunday). And if the weather’s good enough for a picnic (or you’re self-catering), then you can pick up supplies from one of London’s supermarkets. There are local/metro versions of Sainsburys, Tesco and the Coop around the city, or more high-end are Marks & Spencers and Waitrose. 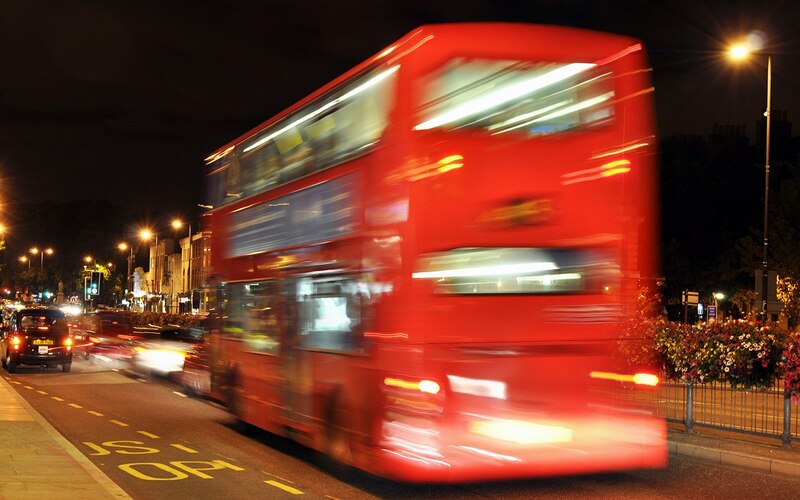 The best way to travel around London on a budget is to get an Oyster card – you can pick one up at any Tube station or order one online in advance. They bring the price of a single Tube fare in Zone 1 down from £4.90 to £2.40. You can also get the same reduced fares by using a contactless payment card (including overseas Amex, Mastercard and Visa cards). Prices are capped so the most you will pay in one day is £6.80 for travel within Zones 1 and 2. For short journeys it’s worth taking the bus rather than the Tube – the price is lower (£1.50 with an Oyster/contactless card, you can’t pay in cash any more) and you get a better view. 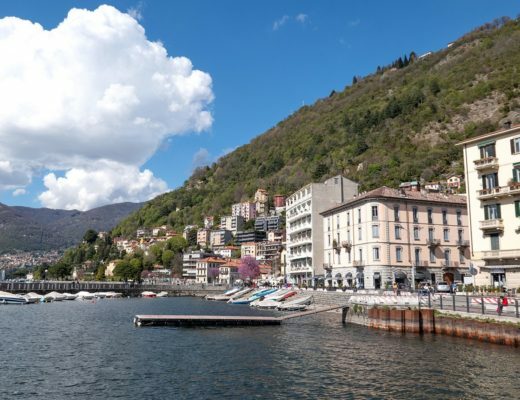 You can even use them as a cheaper alternative to a sightseeing bus by taking one of the routes pasing the city’s main sites. Try the 88 (Camden, Oxford Street, Piccadilly Circus, Trafalgar Square, Westminster Abbey, the Houses of Parliament and the Thames) or the 4 (Waterloo, Somerset House, the Royal Courts of Justice, Fleet Street, St Paul’s Cathedral and the Barbican). Lots of companies run boat tours along the Thames, but the cheapest way to see London from the water is on the Thames Clipper river boat. It’s a commuter service but runs along the same scenic stretch of river. Fares are calculated by zone – a single from the London Eye to Greenwich costs £9.60 for a cash fare or £6.40 with an Oyster/contactless card. Finally if you’re feeling energetic, you can hire a Santander Cycles bike (aka Boris bike). You can pick them up from docking stations around central London and they cost £2 to access the bikes for 24 hours then you can make as many journeys under 30 minutes as you like for free. So those are my tips for seeing London on a budget – do you know of any more London bargains or have any money-saving tips? Looking for somewhere to stay in London? 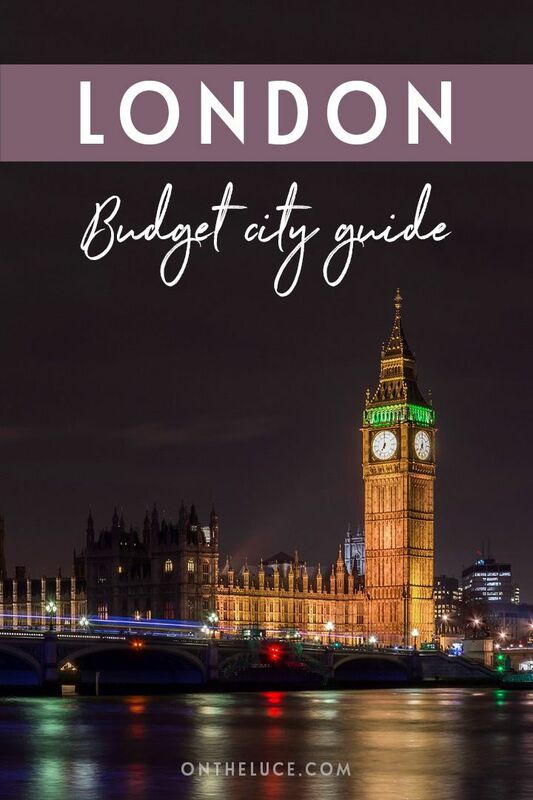 Although you know I’m waiting impatiently for your take on Porto, Lucy, I have to say that this is really an excellent guide to London on a budget, and many of the tips are one’s I would have included myself. I’m always footsore at the end of the day, but it is such a walkable city. Who wants to beetle along underground? 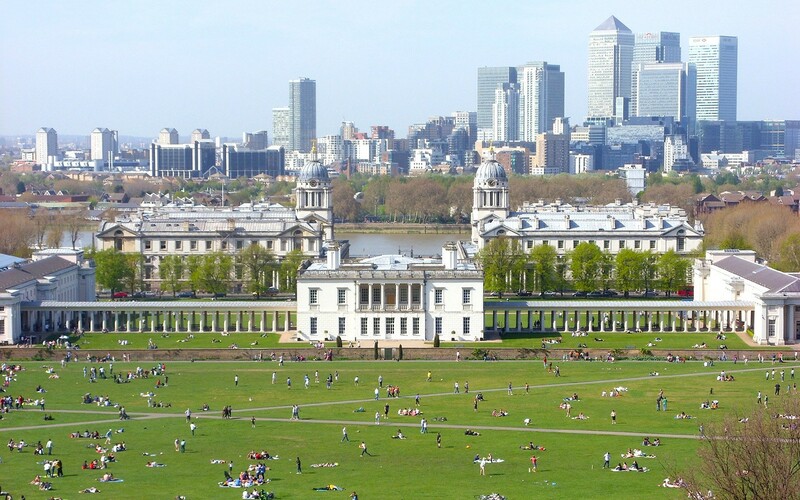 The views from Greenwich park are wonderful and you can do a guided walk there very cheaply, which has you imagining a joust right before your eyes. The little-known Greenwich Fan Museum is rather nice, too. Porto is coming up next week so not long to go! Thanks for the tip about the Fan Museum, I’ve not been to Greenwich to years so that’s one to rediscover on my next visit. Very nicely done. I’ve been there twice, and I walked around a bit, then got out quick so I’d be able to survive. Money crunch…places to be…would not have had the money to move about Europe and Africa if I had stayed in London. A woman just told – or complained – about council taxes…to live in a house. Hard to avoid that. Wish I knew all this before, would have been easier. London property prices and council tax are seriously scary and one of the main reasons I moved out! I think I see more as a visitor now though than I ever did as a resident as you tend not to do the ‘touristy’ things in your own city very often. So true…so true. I used to hear people talk about liking Cleveland – Cleve Land !!! Talk about visitor’s selective recollections. Thanks – and good tip about the Coronet, I’ll have to remember that one next time I’m in Notting Hill. London is a great city to visit 🙂 But your right, very expensive. I like the photo’s with the moving people in it! Thanks, I was practicing with those slow shutter speed shots and London’s the perfect place to do it – there are always so many people rushing about! It’s so true isn’t it? I’ve been to three museums in London in the last few months which is more than I did the whole last year I lived in London! It’s easy to take things for granted if they’re just down the road. Thanks for these tips – I’ll be sure to purchase a London Eye ticket ahead of time, and I know the museums your mentioned are superb and it’s great to know they’re still free! You’re welcome. London’s museums really are fantastic, I’m trying to branch out and try a few of the smaller ones now, there’s enough to keep me busy for a few years worth of trips! Great post on London, it can definitely be done cheaply too. I love borough market! Such fabby food to feast on. Thanks, Borough is an amazing place, not sure if it’s very good for my budgeting though, there are way too many delicious things around I can’t resist buying a load! Great article. I, too, love the Borough Market, Pizza Express, Tas and Brick Lane for meals. Some other thoughts are Pret A Manger (their food is always fresh) or just a cheese plate and a glass of wine at La Fromagerie on Moxon Street. The cheese plates have themes (British, French, Italian) and are delicious. 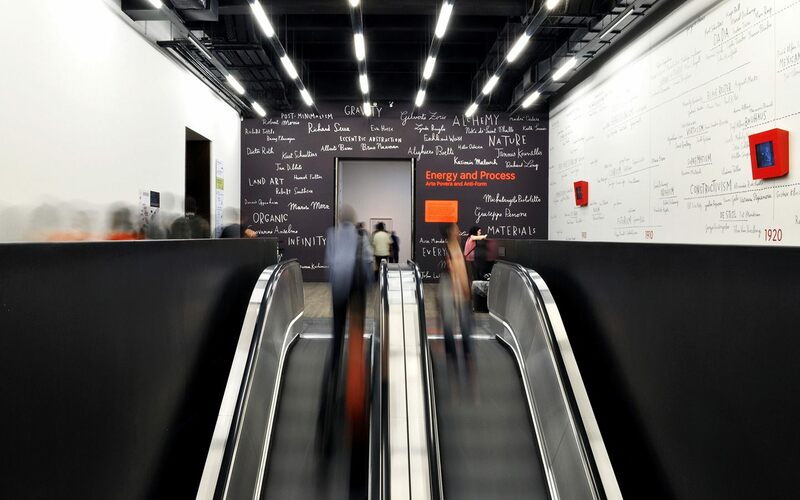 Some of the museum cafes, like the Tate Modern, offer reasonably priced food as well. For theatre tickets, sometimes deals can be had at lastminute.com but bookings must be made at the last minute. Thanks – good tip re Pret and museum cafes. I’ve not been to La Fromagerie but it sounds juts like me type of place so will check it out next time I’m in the area! I did take one of those walks along the Thames and visited the Globe and the Tate before crossing the Helix bridge, it was beautiful and therapeutic. It’s a great walk isn’t it – so much to see in such a small area. mmhmm! will def do it again when im back there! I am leaving in a month for a 45-day European Trip, with quite a bit of time spent in England and a few days spent in London. I have been doing quite a bit of research into travelling on the cheap and this post is the best resource I have come across so far. Thank you! Thanks so much, hope that you can make use of some of the tips and have a fantastic trip around Europe. A 45-day trip is a really good amount of time to see a lot, hope you get some good weather to go with it! Thanks, hope they come in useful when you next make it to London! Some top tips here. I’m going on an Easter bank holiday – should we get two day passes for the underground at euston station, or is it worth getting an Oyster card in advance just for one day? Also, can two people share one Oyster card? Cheers! I’d recommend getting Oyster cards (you need one each) and loading them up with credit, as it won’t cost you any more than the maximum cost of a day travelcard each day, and if you don’t use it so much then it’ll only charge you for what you use. Have a good trip! Hi, What about accommodation on a budget?? Can you recommend anywhere? Some good budget options are the Tune Hotels (www.tunehotels.com), with doubles from £45 a night – they’re quite tiny but have en suite bathrooms and good locations in King’s Cross/Paddington/Westminster/Liverpool St. Other budget hotel chains worth trying are the Premier Inns and The Hoxton (www.hoxtonhotels.com) sometimes has rooms for £1. If you are looking at hostels there are a couple of boutique ones which also have private rooms – Safestay in south London (www.safestay.co.uk) or Palmer’s Lodge in north London (www.palmerslodges.com). There’s also a modern YHA near King’s Cross (www.yha.org.uk/hostel/london-central). Otherwise the sites where you can rent an apartment (or a room in a house) like AirBnB, Roomorama, Go With Oh and Wimdu are worth a look. London! Im coming for you! Brilliant post! I was wondering if you have any recommendations for where to stay in the city as well? I am thinking of going down in the Spring and I’ve seen a few hostels in Shoreditch or Swiss Cottage and the like – do you think these areas are too far out or would the travel pass make it feasible? Cheers in advance! Thanks! Staying in central London is very expensive so accommodation a bit further out tends to be a much better deal and the Tube will get you around easily (though it doesn’t run all night so if you’re planning to be out late you’ll need to get a night bus). Of the two places you mention Shoreditch is probably the closest into town, with easy access to the centre as well as the East End and down to Greenwich etc. Have a great trip! Thanks for the tip – I’ve not been to Brixton Village for years but will have to check it out next time I’m in London. Does anyone have recommendations for day trips outside of London? 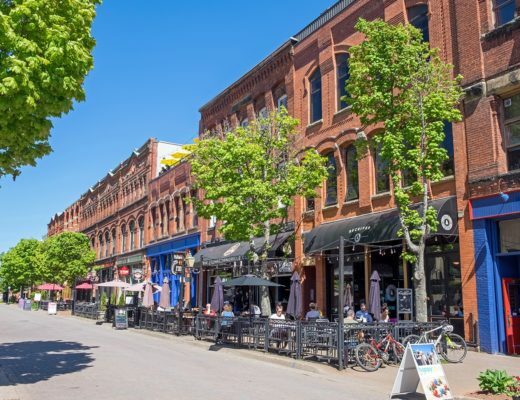 Looking for walk-able towns/villages with interesting street life, good pubs, unique shops, etc. Going beginning of October 2014. What do you think about Brighton Beach for this time of year? Thanks! On a sunny day Brighton is a great place off-season (it can get packed in summer). Whitstable is also really nice by the coast, or if the weather isn’t so good you could try Oxford or Cambridge, or closer to the city there is Windsor too. Have a great trip! Thank you Lucy. We will be on a tour for 11 days seeing many of the hot spots along with Castles and Museums, so looking more for a fun town. We have 3 days post tour to venture out on our own, relying on public transportation. Brighton seemed to have the atmosphere along with some different stores to browse. Any suggestions on a good pub there? Places to see or stay away from there? We have been to Windsor on a prior trip to London. We will have to check out Cambridge or Oxford if weather is too bad. Thanks! 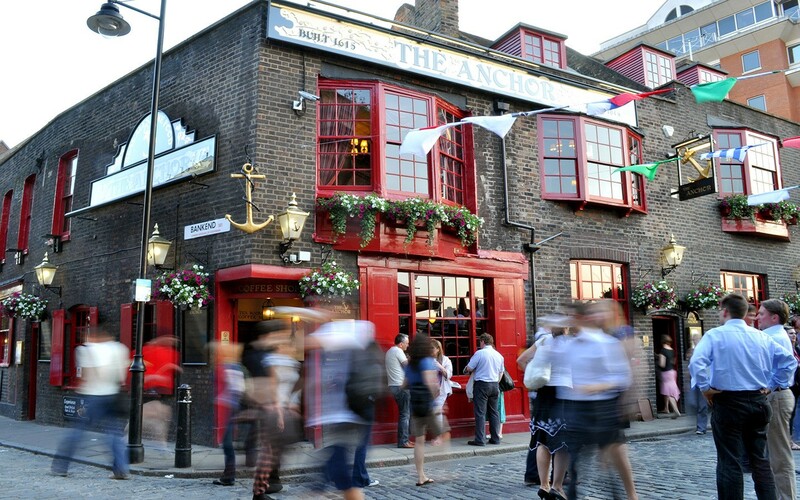 Then there is the stroll along the South Bank, the free museums, and some other suggestions (that we won’t follow for lack of wanting to hang out at night, considering my daughter’s age) are a pint of bitter at the Hope and Anchor (207 Upper st in Islington) or at the Angelic for a quieter experience (57 Liverpool Road) and a 3-pound pint. If at 2 am you’re still standing, then they recommend Bar Italia (22 Frith St) where the late-night cappuccino is £ 2.50 (and one of the best in town). Hope you and your daughter have a great trip Carole! Some good suggestions there too – I lived around the corner from the Angelic and it’s a great pub that does good Sunday lunches (though not sure I’d call it quiet!). The cemeteries are really interesting too, I think Highgate is probably the most impressive, though Abney Park in Stoke Newington has much more of an overgrown, eerie feel. Fantastic advice. I’ll be travelling to London in a month and will have only a day and a half to look around. This is great. Nice advice. I’ll be travelling to London twice in a month. This is fantastic. Awesome tips and pointers, really looking forward to implementing your suggestions. Thank you so much for this post! I’m thinking of visiting London in the near future and I definitely want to save as much as possible. This guide has helped a lot, thanks! Hope it comes in useful – and have a great trip! I agree! London is absurdly expensive! There are many cheap options also, many of them unknown to tourists however! I lived in London for 5 years in the 80s and this is a wonderfully updated guide to budget London. When I had no money I did as Petula Clark sang and went “Down Town”. Excellent guide and such appropriate, well-taken photos to accompany it. Not surprised its getting lots of hits and re-blogs. Thanks so much – I still love going back to London, there’s always new things to discover and it’s a great city to just wander about. 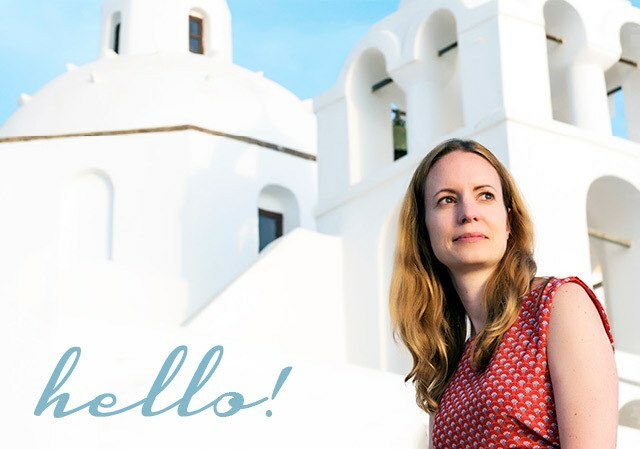 Fantastic – I will be there for WTM too (Monday until Thursday) so would be great to meet up! Perfect!! That sounds great Lucy. I would love to meet you, no doubt 😀 I will be there the whole week too! Thanks for the information, this is great! I’ve lived in London for 4 years and I haven’t even been to some of these places! I’m definitely going to check it out! Some good small chains worth trying are Tune Hotels, The Nadler and Z Hotels – or more cheap and cheerful the Premier Inn or Travelodge. 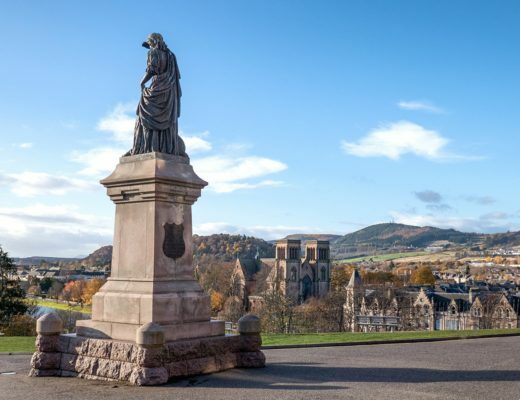 You can also rent rooms in university accommodation and there are a couple of good hostels with private rooms (Clink and Safestay). Thanks, great to hear you enjoyed it! A lovely article with some photos that make me crave the city again! Having visited a number of times I could not recommend London enough. Whilst it can be daunting to some, it really is one of the most diverse and action packed cities in the world. Moreover, the public transport network is wonderfully simple and allows you and the family to get almost anywhere in the city. Thanks so much, glad to bring back some good memories – it really is an amazing city! Hi any suggestions on where to stay? This post is so attractive. London was totaly the best place to visit for me. Last year i had a trip to London,using this blog as a “guide”, and still i couldn’t see all the attractions. Thanks so much – glad to hear that it came in useful! Such helpful comments and tips, visiting London during the festive season is always my favorite time of the year. Enjoyed your itinerary. 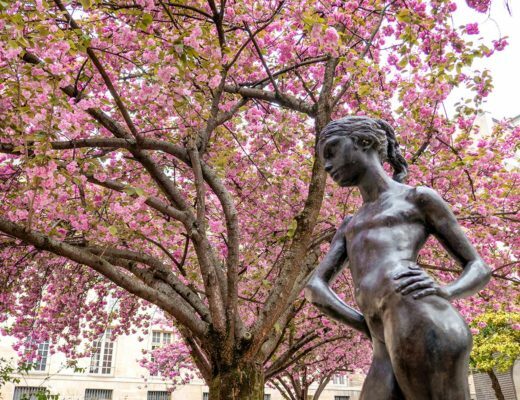 You always can tell the difference between an itinerary from someone who spent a few days in London and someone like you who has lived there and has visited many times. Happy to see that you mentioned the Thames Clipper boat service. It’s long been one of our favourite budget ways to see the riverfront (and head to Canary Wharf for meetings, too). Thanks so much, glad you liked it (the Thames Clippers are great aren’t they!). Hi Lucy! 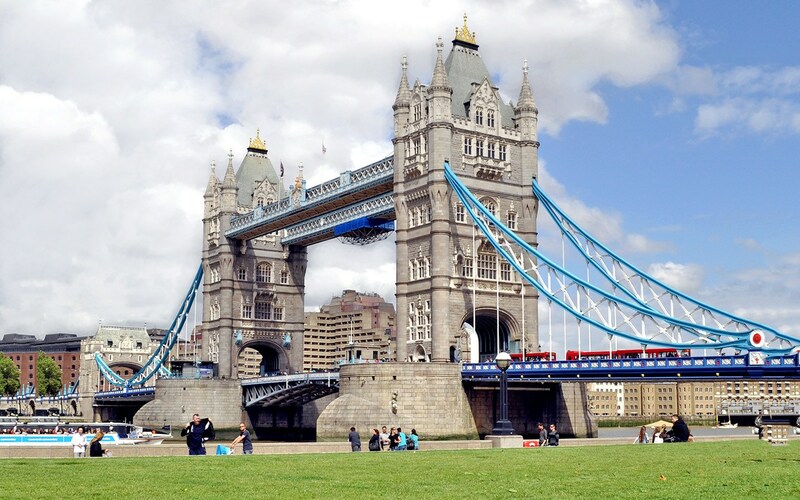 I am interested to join the free tours in London for my 3 days trip. Among these 3: Sanderman’s New Europe, Free Tours by Foot & Free London Walking Tours, which one would you recommend best? Hi Winnee, they are all fairly similar but the Sandemans ones are a good choice for an introduction to London. If you’re more interested in more specialised subject or something a bit different then look at the others instead. Have a great trip! 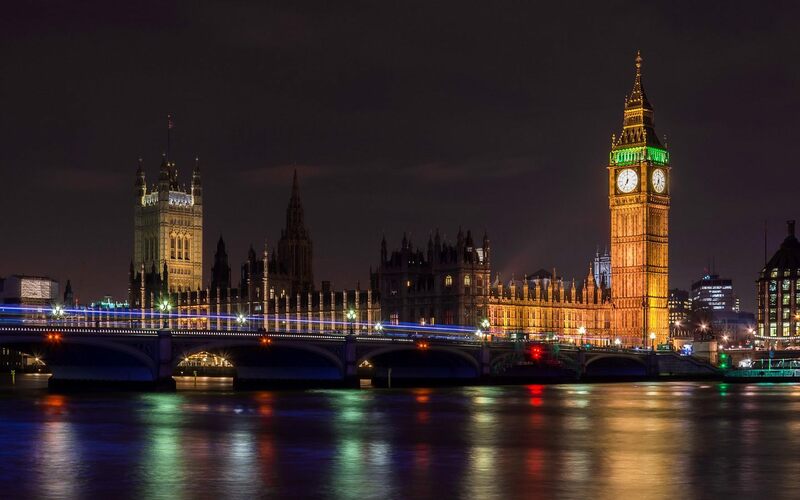 The sights, nightlife, and culture of London are famous across the world. But, not many know that this wonderful city has an adventurous side too. There are so many different sides to London! Great article! There’s always something to do in London – so many events, festivals, markets, etc. But on a budget, it can feel overwhelming. Thankfully, you’ve outlined some great tips for saving money, while still enjoying the fabulous spirit of London! Thanks for your article! Thanks – yes the toughest bit about a trip to London is narrowing down just a few things to do when there are so many options! Hi Marie, I update these guides at least once a year so the info should be pretty up to date still – you might want to check out Time Out for events on around the time too, there’s always so much going on in London! London is a very beautiful and is a notoriously pricey destination. Great monuments, parks and also the one that I usually visit are the theaters. It’s a great and best way to spend the time if buying the best affordable discounted tickets at Leicester Square Box Office and its worth in such a pricey destination. Thanks for sharing such a wonderful blog. I am speechless as I was not aware of such beautiful places in London. London’s a great city – and the West End theatre is some of the best in the world! Perfectly detailed blog, some great bargains in there too. We recommend Benugo in Long Acre and Carbon on Bedford Street as affordable, healthy options. Thanks for the tips, I’ll check them out on my next visit, always looking for a good healthy option! Thank you for sharing this great blog! London is the most beautiful place of UK! There are many places where we can enjoy our holidays………. 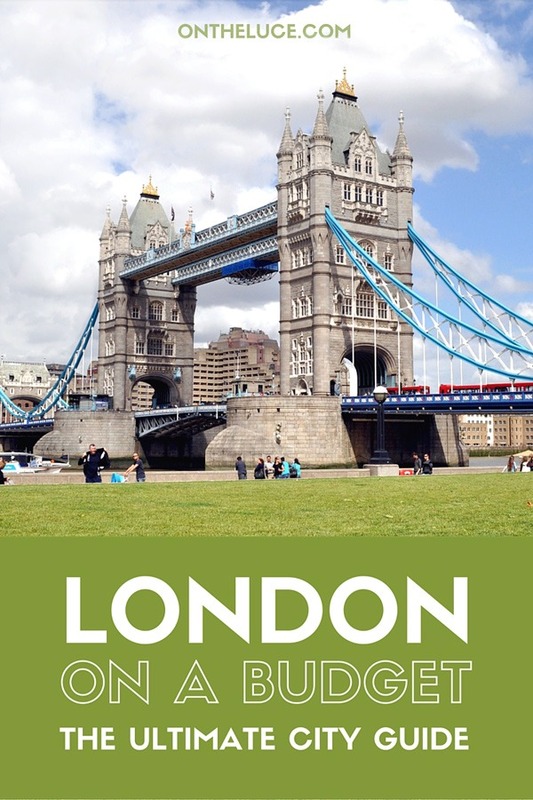 Great information on the London traveling in the low budget. Enjoy reading the blog. Great post! Lots of people will either be visiting London or a budget or, if they’re a student, living in London on a budget. I love that you’ve included an interesting variety of cheap things to do here – like visiting the parks, going to a museum and seeking out an inexpensive cinema. You can definitely do London on a budget and still have fun, it just takes planning. Definitely! 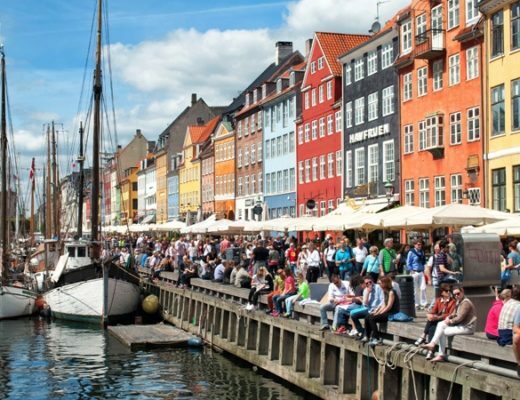 It seems like an expensive city but there are some bargains to be found too. My fiancee has always wanted to go on our honeymoon to London, when we were planning our trip, we really didn’t had any idea regarding the budget and when we got the idea from internet, we decided not to go on our honeymoon to London. However, you have really helped us in making our efficient and not cancelling the honeymoon to London. Thanks a lot. Hope you enjoy London, it’s a wonderful city! I love London! Absolutely one of my favourite cities! The tip about the 2-1 train passes is a great one. You need to keep your tickets though so don’t put them into the machines at the station! So glad it was useful – hope you have a great trip!